The last time the Seattle Seahawks hosted a playoff game, Marshawn Lynch personified “Beast Mode,” Matt Hasselbeck broke a Seahawks franchise record for touchdown passes in a single playoff game, and the Seahawks won in perhaps the biggest upset in NFL Playoffs history. The opponent on that crisp January afternoon was the New Orleans Saints. On Saturday, the Seahawks hope to add the next chapter to the book of highly anticipated victories over the Saints. After defeating the Philadelphia Eagles in the Wild-Card round, the Saints stamped their ticket to Seattle to play the Seahawks in an NFC Divisional playoff game. The winner of this game will play either the San Francisco 49ers or the Carolina Panthers in the NFC Championship Game. The Seahawks lead the all-time series with New Orleans 7-6 and in their last meeting 6 weeks ago on Monday Night Football, the Seahawks annihilated the Saints 34-7 to take control of the top seed in the NFC. Although I personally believe that this is the best possible draw for the Seahawks in the Divisional round, this is NOT an automatic win by any means. This is what I will be looking for out of both teams on Saturday afternoon. Even though Seahawks quarterback Russell Wilson was able to throw for 210 yards and 3 touchdowns on New Orleans back in week 13, the Saints still have the NFL’s second best pass defense, averaging 194 pass yards allowed per game. I expect to see the Seahawks come out and try to control the clock early in this game by running the ball. In their first meeting, the Seahawks ran the ball on 56% of their total plays. This week I think it is possible to see the Seahawks run the ball between 60% and 63% of their plays in order to control the clock and to keep Drew Brees and the Saints offense off the field. If Marshawn Lynch struggles early in the game I believe it would be better for the Seahawks to keep emphasizing the running game instead of panicking and having Russell Wilson throw, especially on first down. By running the ball, eating the clock by extending drives, and scoring on those drives, the Seahawks will be in good shape and the offense will be able to charge the 12th Man into staying loud when the Saints have the ball. On defense this week the key to stopping the Saints from scoring is to do the exact same thing we did the last time we played; to make the New Orleans offense one dimensional. Stopping the run to make Drew Brees throw would be the stereotypically ideal way to minimize the Saints offensive attack but this week it is necessary to keep Brees from throwing in order to force the Saints to run the ball. I believe the Seahawks defense will be able to shut down Darren Sproles and Mark Ingram which will be extremely beneficial to the Seahawks but this is why I want to see the Seahawks prevent the Saints passing game. One stat that favors the Seahawks this week is the dramatic shift in the passing defenses Brees will face in back-to-back weeks. After facing the NFL’s worst rated passing defense last week, the Saints will face the top passing defense in the league this week. After putting up a season-low 147 yards passing against Seattle, Brees has bounced back nicely. In the final 4 weeks of the regular season and last week’s playoff game against Philadelphia, Brees has averaged 324 passing yards per game. He has also thrown 11 touchdown passes and only 6 interceptions in this same span. Add the motivation of getting one more shot at the Seahawks and on paper, Brees is a weapon that the Seahawks must eliminate in order to be successful, just like they did in week 13. New Orleans has the personnel on the offensive side of the ball to be successful. There is no questioning that. Drew Brees has the capability to make everyone around him better. In order for the Saints to be successful on offense this week, the offense needs to do something that they failed miserably at the first time around; they need to block much better. The Saints running game was a glaring weakness in week 13, as leading rusher Mark Ingram only ran for 22 yards. New Orleans only ran for 44 yards total in that game. Creating holes for Ingram to run through will keep the momentum of the game with New Orleans and the will be able to move the ball and keep the 12th Man quiet. 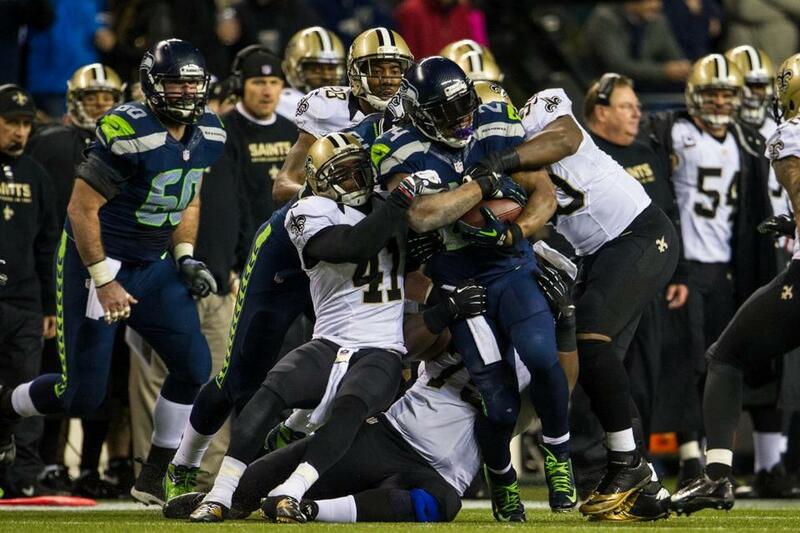 In the passing game, the Saints will be in charge of stopping a Seahawks pass rush that will be charged up at home. There is one significant change in personnel from our last meeting to this week’s game. My X-Factor player to watch for the New Orleans Saints this week is left tackle Terron Armstead. Armstead, a rookie lineman from Arkansas- Pine Bluff, will be starting just his fourth career game this week. Armstead made his NFL starting debut in week 16 following the benching of starter Charles Brown. In his 3 previous starts, Armstead has faced the defenses of the Carolina Panthers, Tampa Bay Buccaneers, and Philadelphia Eagles. This week he will face arguably the toughest pass rushing group in the NFL while also playing in the league’s most hostile postseason environment. The Saints will need Armstead to step up as he faces the daunting task of protecting Drew Brees from Chris Clemons, Cliff Avril, and Bruce Irvin. I am also curious to see how Armstead handles the crowd noise this week, as rookie mistakes prior to the snap will put the Saints at a disadvantage trying to move the ball. If Armstead can successfully pass block for Brees, the Saints will have a much better day than they did 6 weeks ago. A Public Service Announcement to Everyone Attending Saturday’s Game: There is a distinct difference in the stadium atmosphere between a regular season afternoon game and a regular season primetime game. There is an even greater difference in the stadium atmosphere between a regular season primetime game and a playoff game. When the Seahawks hosted the Washington Redskins in an NFC Divisional playoff game back in 2006 (2005 Super Bowl season), I distinctly remember that everyone (I mean EVERYONE) was at their seats at least 30 minutes prior to kickoff and no one in my section sat down for the duration of the game. I am hoping that the environment is the same this week. Everyone who is going, make sure to give yourself extra time to get into the stadium and in my opinion, be at your seats between 12:45pm and 1:00pm. Give 100% vocal participation when the Seahawks are on defense and wave your 12th Man flags (one of the confirmed giveaways) proudly and in unison to make a cool, spine-tingling sight. This, perhaps by default, will be the most exciting game of the season. Making sure you are early and loud will help make this game an experience that you will surely never forget. 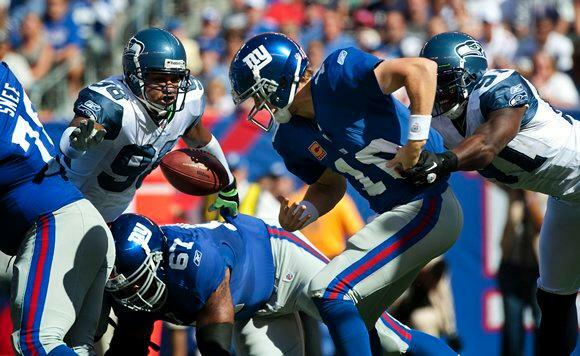 Random Thoughts: The Seahawks will wear blue jerseys and blue pants this week. My prediction is that the Saints will wear the same uniform combination they wore in Seattle last month; white jerseys and black pants… Kevin Burkhardt and John Lynch have the call for FOX this week with Erin Andrews patrolling the sidelines… As a late birthday present, it would be really cool to get a picture with Erin Andrews before the game. She didn’t respond to my tweet asking for a picture though. That won’t stop me from trying… Yes, my birthday was this past week and it is awesome if the calendar lines up right to where the Seahawks play in the playoffs on my birthday. It has happened twice before, the last time coming 3 years ago when we played the Saints… Terry McAulay is this week’s referee. It is possible that we could see McAulay in 3 weeks at Super Bowl XLVIII as well. It was announced this week that one of the 4 divisional playoff referees will earn the right to referee the Super Bowl… It is a mystery as to who will raise the 12th Man flag on Saturday but I might have an idea. In two of our previous home playoff games, the Seahawks have had current members of the team raise the flag; players that were hurt at the time of the playoffs (Ken Hamlin in 2005 and Marcus Trufant in 2006). If the Seahawks decide to go that route this week, I predict that K.J. Wright will raise the 12th Man flag… Here’s a stat that may come as reassuring to Seahawks fans. In the Seahawks 6 postseason games at CenturyLink Field, the Seahawks have outscored their opponents by 50 points, going 5-1 in those games. The Seahawks also hold a +1 turnover differential in those 6 postseason home games (10-9)… The pregame starts early this week. Pregaming at the Nest starts at 8:30am before heading into the stadium a couple hours before kickoff… Good thing I sit undercover. The last weather forecast I saw called for a 100% chance of rain and wind gusts of up to 25 miles per hour. Those conditions certainly would favor the Seahawks over a team that plays in a dome… Hopefully the Seahawks do something fun to pump the crowd up before introductions. They have played some sort of NFL Playoffs hype video in past home playoff games and they always get the crowd fired up… I will be screaming and streaming this week if you know what I mean. The Skittles might be gone but I think the NFL Playoffs calls for a new kind of touchdown celebration. Get ready #section340crew… We are one win away from the NFC Championship Game. Remember that on Saturday. Prediction: Almost everyone in the national media has been talking this week about how the Seahawks won’t blow the Saints out just like they did last month. I agree with all their arguments but I still do not see how the Saints can come into CenturyLink Field in a playoff atmosphere and win. This game will be controlled by the Seahawks running game. 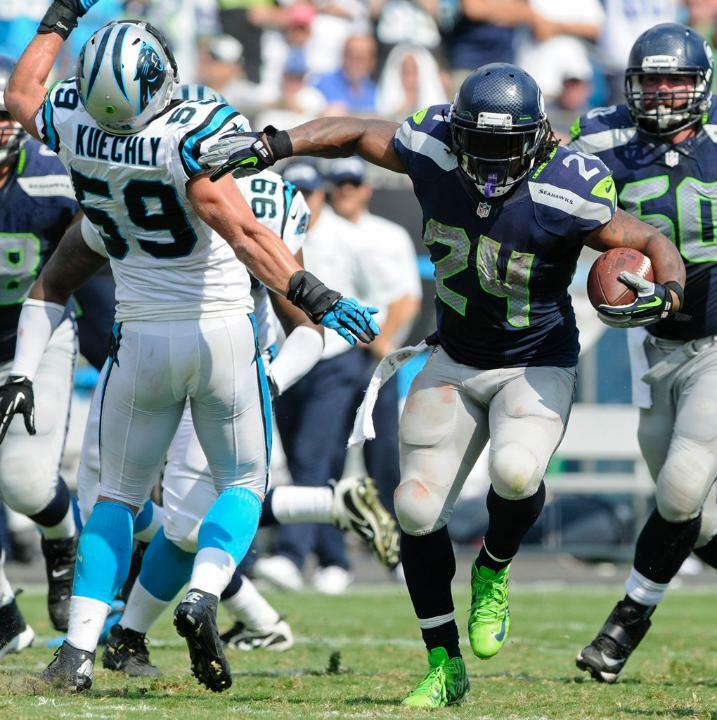 Marshawn Lynch will run for over 100 yards and a touchdown. Percy Harvin will also be a difference maker, especially as a decoy receiver. 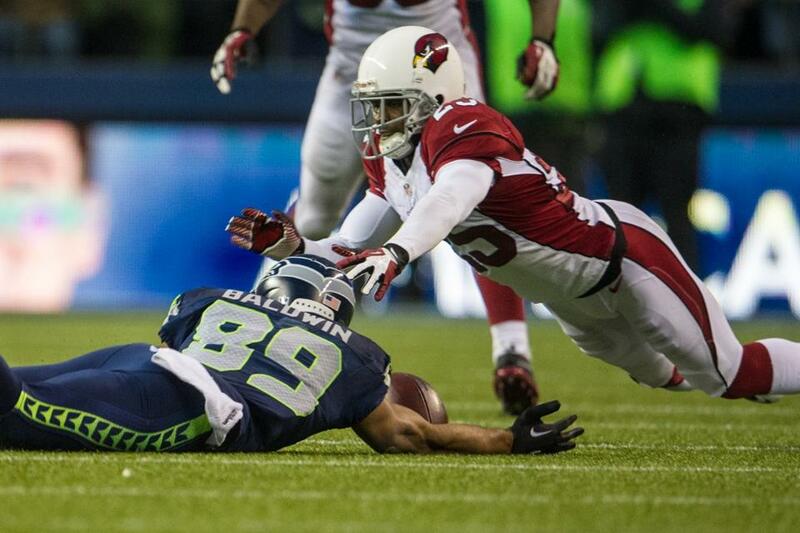 Harvin will catch 3 passes while helping spring Golden Tate as the Seahawks leading receiver. 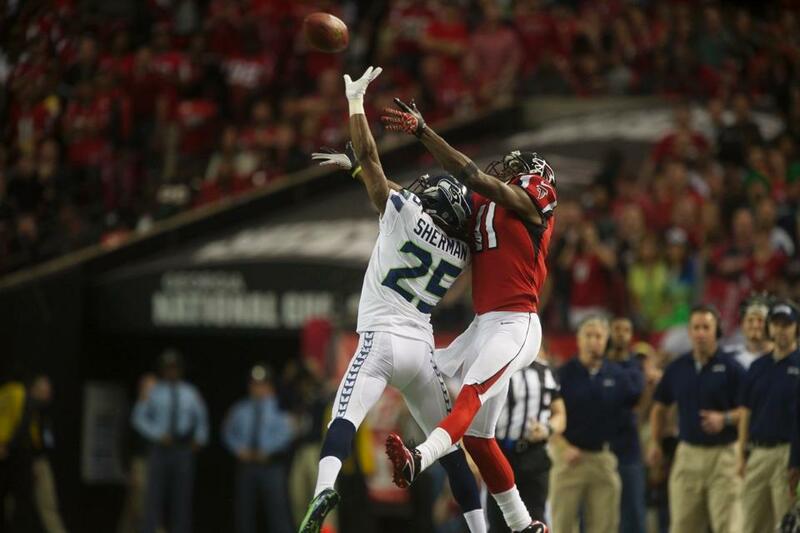 The Seahawks defense will give up an early second half touchdown but will play a sound game overall. 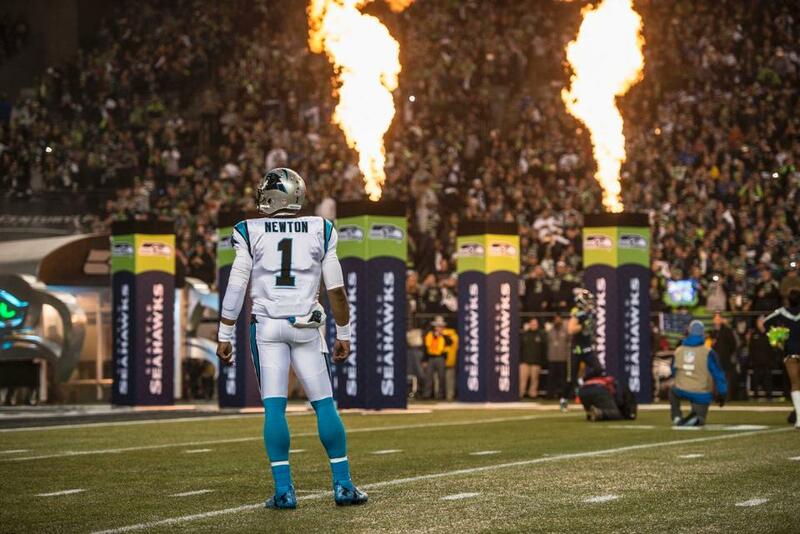 The Seahawks will win and they will get an extra day to rest as they wait for either San Francisco or Carolina. Win or lose, check back late Sunday night for my Saints game review and potentially an early look at the NFC Championship Game next week. Enjoy the game everybody. We Are 12! Go Seahawks!